« A little hate, a lotta love. I need to start this post with a confession. I’m not from Austin. I’m not from Texas. I’m not even from the Southwest. Let’s just say I’m from a Mid-Atlantic battleground state with 21 electoral votes that, if John McCain doesn’t win, could gift wrap the election for Barack Obama. It also rhymes with Bennsylvania. But, with that caveat in place, I must say that I love it here. In particular, I’ve been drawn to the political commentariat that’s based in Austin. A daily “must read” for me is Eileen Smith’s “In the Pink Texas.” Smith, who last year was hired as the editor of Texasmonthly.com, told me last fall she began writing “blog posts” in e-mail form, before the phenomenon known as Web logging even began. (Thank goodness it did, or else I’d be talking to myself right now.) I interviewed her for a really terrible story that ended up running in “The Texas Journalist,” but you can read that it here: “Over 100k blogs are created daily” As a side note about this ever-so-compelling title, from the use of the word “over,” to the fact that it’s a sentence, to the fact that I feel asleep halfway through reading said sentence, I could go on for days about the editors that picked it. But in the interest of adding different content to this blog, there you go. As I said earlier, I spoke to the Austin Lawyers’ Auxiliary this morning about the Internets and social networking. I am something of an expert on this topic since I spent a better part of this year begging total strangers to friend me on Facebook. The meeting was held at a beautiful house in a rich neighborhood where I don’t belong. Another giant in the Austin political blogging scene is the Burnt Orange Report. I’ll admit to reading this site a little less frequently, but they offer up a pretty satisfying menu of local topics. Concerned about Prop 2? Have no idea what Prop 2 is, but want to change that? Or, as is my case, want to know enough to add a witty comment when the topic’s brought up and then fade the background while smart people discuss the issue? You’re covered at the BOR. Like a traditional news organization’s editorial board, they take it upon themselves to take a stance on the issue and inform their readers. 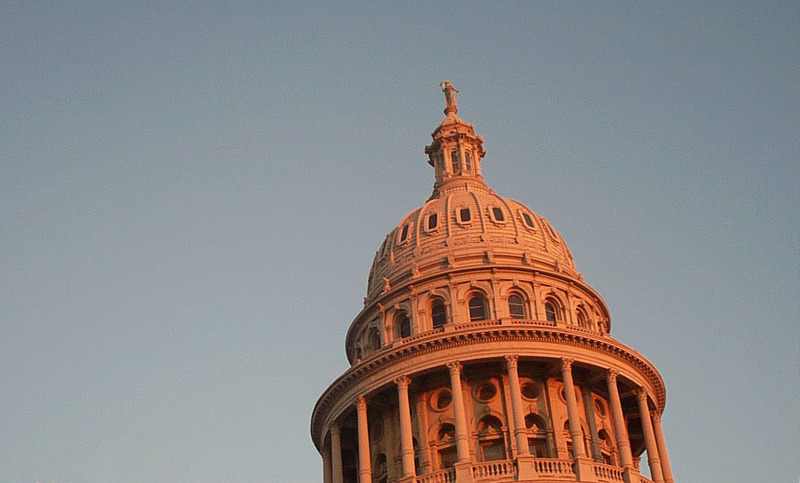 And one last plug before I go: Whether you lean right or left, the Burnt Orange Report does a great job of collecting links they dub as “The Best of Texas Left” and “Best of Texas Right.” You’re sure to find something in this list that will quench your political thirst. But you better get drinking now, because the new legislative session begins in January 2009.